These exclusive breeder interviews are our way of thanking you for buying our best-selling owner’s guide to the Beagle. 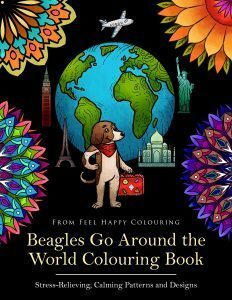 We had huge involvement in the book from 30 Beagle experts. I hope you enjoy your free gift. Please consider helping us by ‘paying it forward’ – posting a positive review really does help us reach more people. We really want to get this helpful book to as many Beagle owners as possible. Add your email address in the box below so we can let you know if and when we have any further updated editions of the free book. Who doesn’t like Beagles? Who doesn’t like to travel?It doesn’t get much better than this – our lovable Beagles are about to go on a vacation/holiday of a lifetime to iconic destinations around the globe.